Support Our Team For Steptember And Go In The Draw To Win Limited Edition Street Fighter Posters! Home - Arcade Machine News Stories - Support Our Team For Steptember And Go In The Draw To Win Limited Edition Street Fighter Posters! One of our staff members Chloe McCarthy has taken on the Steptember Challenge in a bid to raise funds for the Cerebal Palsy Alliance. This involves Chloe completing 10,000 steps per day through out this month! 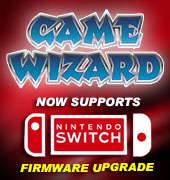 Highway Entertainment is proud to support Chloe in this cause, and for any donations over $10.00 that Chloe receives, you will go in the draw to win limited edition Street Fighter 4 poster packs! 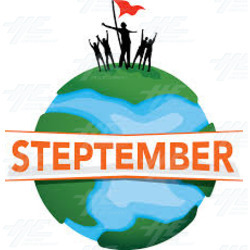 Steptember officially started today and finishes on the 30th of September. 10,000 steps may sound like an easy feat for some, but the average office worker only takes around 3,000 steps per day... surprising huh? Therefore, 10,000 steps will be quite the task! To support the Cerebal Palsy Alliance and to encourage Chloe to complete the challenge, you can donate to her fundraising page by Clicking Here. For every donation received over $10.00, you will go in the prize draw to win limited edition Street Fighter 4 packs supplied by yours truly. Any amount you contribute would make a huge difference to children and adults living with cerebral palsy. Cerebral palsy is the most common physical disability in childhood. One in two people with cerebral palsy are in chronic pain due to the tightening of their muscles. Many will never be able to take a single step without assistance. Please note that you’ll receive an automated receipt as every donation over $2 is tax deductible.